By maximizing golfers’ distance and enhancing forgiveness, the Srixon Z H65 Hybrid delivers outstanding performance on each play. Features including a redesigned crown and optimized center of gravities provide this club with the technology it needs to help players excel. 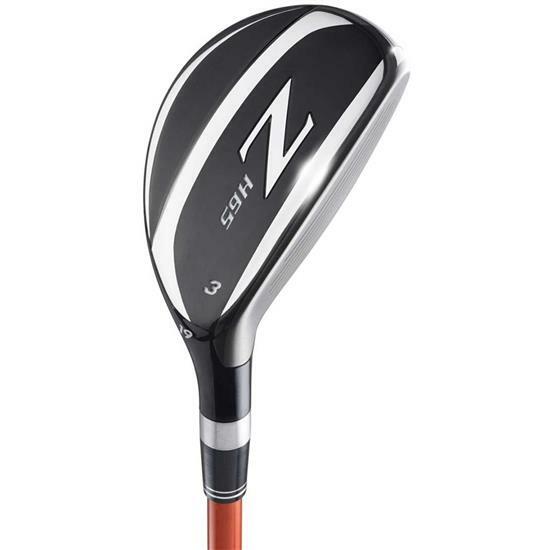 The lower loft options of the Z H65 hybrids feature a lower center of gravity for higher launch, while the higher lofts have a more rounded sole design that provides more versatile shots. Thanks to the Arc Support Channel in the crown, which gets progressively deeper with the different lofts, players’ find elevated launches and improved spin across the entire face. This ensures that each hit flies higher and farther. You are about to post a review for Srixon Z H65 Hybrid based on your knowledge of its playability. This review will show up under all variations of Srixon Z H65 Hybrid, including new, personalized, and custom logo.